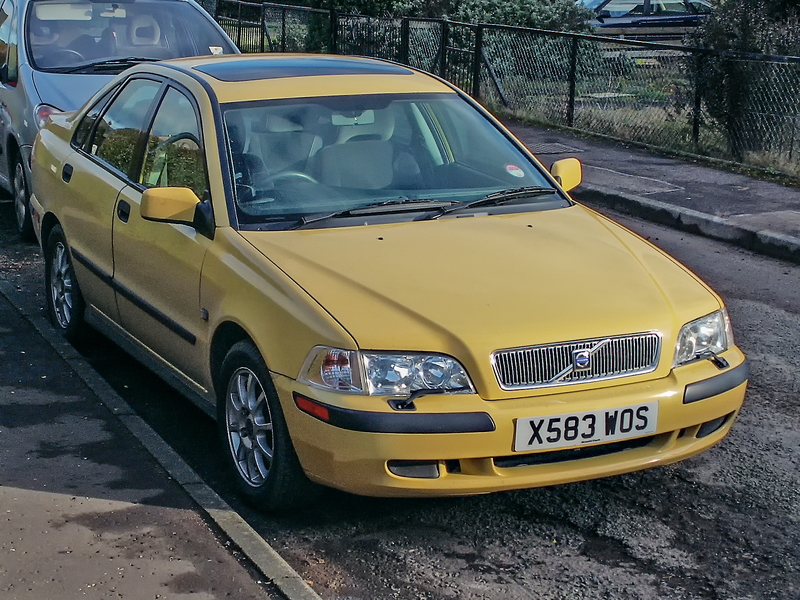 Almost 3 years since I sold it I have spotted my old Volvo S40 twice, in the last couple of days. It is looking great, and is obviously well looked after seeing it is shining like a new pin. I wish I had never parted with it (well, except for the mpg). Wow. That looks smashing. I do like Volvos. Cracking condition for an almost 20 year old car. No doubt all those years of coddling! Looks like the new owner's as fastidious as you were Jocko, always nice to see an old car still going strong. I sold a vectra 3 years ago which I saw occasionally for the next 18 months, covered in stickers and with front & rear screen plastered with pink stuffed toys, speeding and smoking (car & occupants). I never really wanted it back, mot check showed it expired with about 10 items failing the mot & about 20 advisories, it had done about 60K in those 18 months, can't imagine why they bothered to try to mot it, I think they did alright for a £380 banger! Still sad to see it abused after I'd (sort of) looked after it for 10 years. I sold the Volvo for £295! The current owner is truly enjoying the cost benefits of bangernomics then. Shows if you look around you can buy a viable car for very little money. And the Volvo's mpg is not such an issue if the annual mileage is low. My father bought an Austin Westminster A110 in around 1970 when the first of the oil crises caused a hike in petrol prices and thirstier vehicles getting sold off cheaply.